In c all the preprocessor directives start with # character except define() operator. All the directives have different task which executes just before the actual execution of c program which makes the program more portable. These directives are used only to instruct compilers. 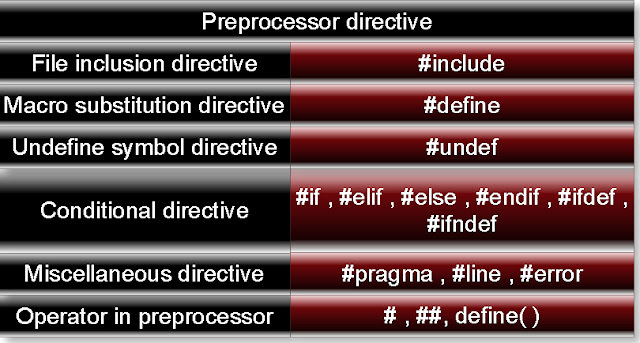 List all preprocessor directives in c.
Preprocessor directives are processed before compilation of source code. 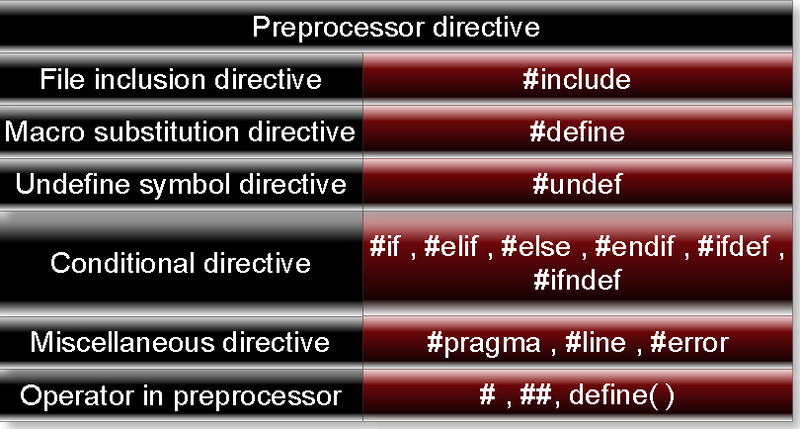 All preprocessor directives(Header files) begin with a # symbol. Preprocessor directives in C do not ends with semicolon.